The influence of social media is bursting into our lives, both personally and professionally. The internet is whirling at a very fast pace. YouTube, Facebook, Twitter, and LinkedIn, all the social portals help individuals to interact with global businesses and communities. 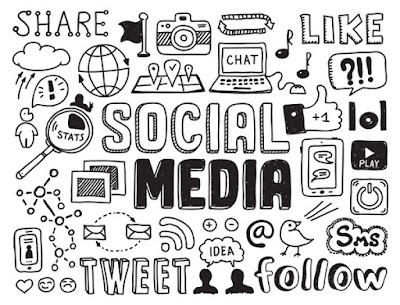 Social Media is a platform where people create, maintain and share information and ideas. The impact of social media in the business world is increasing rapidly. It helps in promoting the vision, values and culture of an organization in addition to the promotion of its products and services. There are a few guidelines which shall help to enhance the credibility of your business through social media. Create a great content, including appealing pictures and videos. Share your content across social media platforms. Build an appreciative and intuitive content that people would like to read. Many businesses create a one-way social media platform where they do not revert to their audiences. An effective platform is that where you engage in conversations and clarifies the doubts of your consumers. Do not update your profiles haphazardly rather be very consistent in customising your profiles. Make them similar and consistent as your audience would be checking all your profiles. A brand’s identity should be clear and concise. Its narrative should define its ideals and values. With the advancement of social media, brands get easily acquainted with people’s hobbies, shopping preferences, travelling hubs, so on and so forth. Social media marketing offers brands a great platform to connect with their consumers and helps in enhancing the growth of business. Monday-Saturday9:30 A.M. to 6:30 P.M.